The voice of patients and caregivers can improve design in various ways. They can ensure that design focuses on identified priorities that are relevant to patients. They can make sure that research questions and outcomes are clear and point to inadequate descriptions.24,32,33 They can assess a study’s feasibility and barriers to recruitment.10,23,33 They can help identify choice of methods for trials.33 They can help develop research tools including rewriting documents in more accessible language.33 And they can reveal any biases or assumptions researchers may have that could influence the research. As discussed above, barriers to including patients and caregivers mean they are not able to be on the initial design team. Yet, their critical eye can retrospectively review the design of published research. 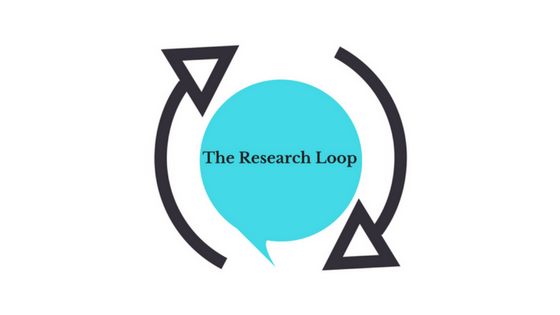 With The Research Loop, patients and caregivers can offer feedback on the design choices made by researchers. This feedback can push researchers to evaluate why they made certain design choices and how that might have affected their results. The feedback can help researchers focus on priorities important to patients and caregivers and define better research questions. Additionally, patients and caregivers can suggest design improvements or new directions. In so doing, patients and caregivers can provide important input to shape future research studies. Traditionally, patients and caregivers have not had access to data sets and thus have been all but excluded from this aspect of the research process. Occasionally, researchers have asked patients and caregivers to assist with data collection or allow them to be part of a research team. More often though, patients and caregivers are only seen as data points – a passive role – rather than active collaborators in this stage. Movements to compel researchers to share data with each other and with patients and caregivers are growing more and more each day. These efforts are in their infancy but have important backing from patient leaders who recognize the value patients and caregivers can add to research if data is available to them. Patients and caregivers offering feedback through The Research Loop can similarly comment on tables and graphs and the data available. They can also comment on which statistical analysis methods the researcher chose and data points the researcher failed to include in their study. For instance, a study that misses important demographic or socioeconomic data that could inform their findings and provide context.14 They can question what values the researcher deemed significant and ask the researcher to consider future studies that takes these views into account. With this feedback in hand, researchers can consider what data they will collect in future studies, what methods for data collection and statistical tests they may use, and develop outputs and graphs that are more accessible and relevant to the public. Feedback on analysis and interpretation can influence researchers’ future studies by encouraging them to understand the patient and caregiver perspective for interpretation. It may also spark interest in aspects of the research not previously considered.